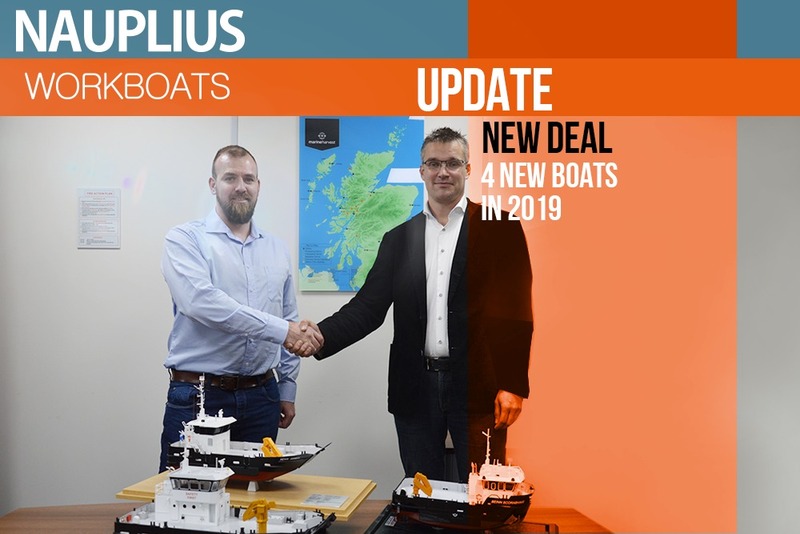 Last week Marine Harvest Scotland signed a new contract with Nauplius Workboats for another 4 Landing Utility vessels with our signature design. A Hybrid between the Landing Craft and Multi Cat vessel with a side wheelhouse. Small design adaptations will be made to specify operation comfort development.